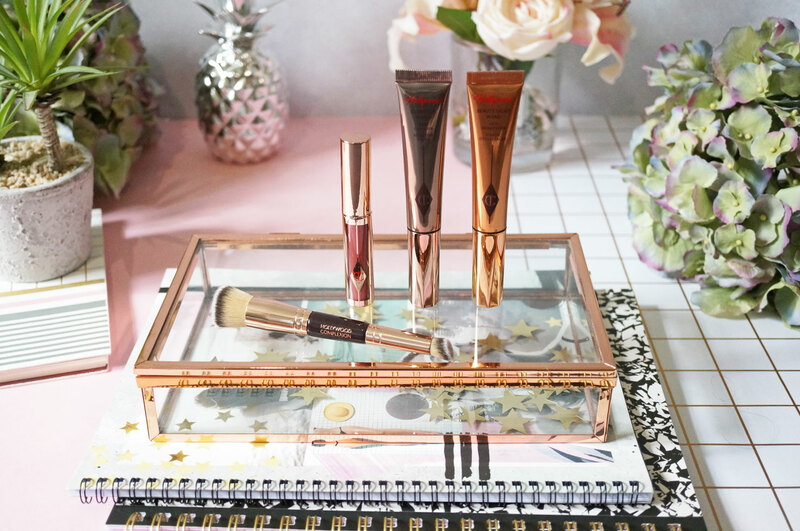 Starting with the brand new Hollywood Wands – the Hollywood Contour Wand and Hollywood Beauty Light Wand (£29.00 each) have been designed to contour and highlight your skin to perfection. So firstly, as this is a ‘wand’ product, it means the product itself is contained in a tube, which you squeeze making it come out of the cushion head applicator at the top. There is also an ‘open’ and ‘close’ twist option at the tip, which is an excellent idea – imagine if you accidentally squeezed the tube, sat on it or stood on it (the type of thing I’d do!) the product would just squeeze straight out and it’d be wasted. The tip is designed so you can apply directly to the face – but you’ll still need a brush or beauty blender to blend the product out. The Hollywood Contour Wand promises to give the perfect lightweight, blendable, buildable formula to create a well-contoured face. It’s available in two shades, Light to Medium and Medium to Dark. Being super pale I’ve gone for the Light to Medium option, hoping that it will suit my ghostly white skin tone and not be too dark. The formula is a lightweight cream that has just the right amount of pigmentation to give a natural look that isn’t too heavy. 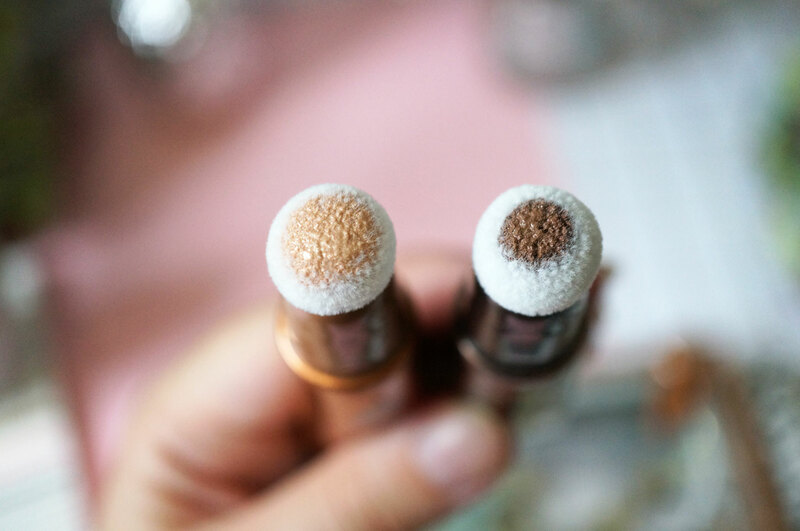 The Hollywood Beauty Light Wand goes perfectly with the above contour wand. 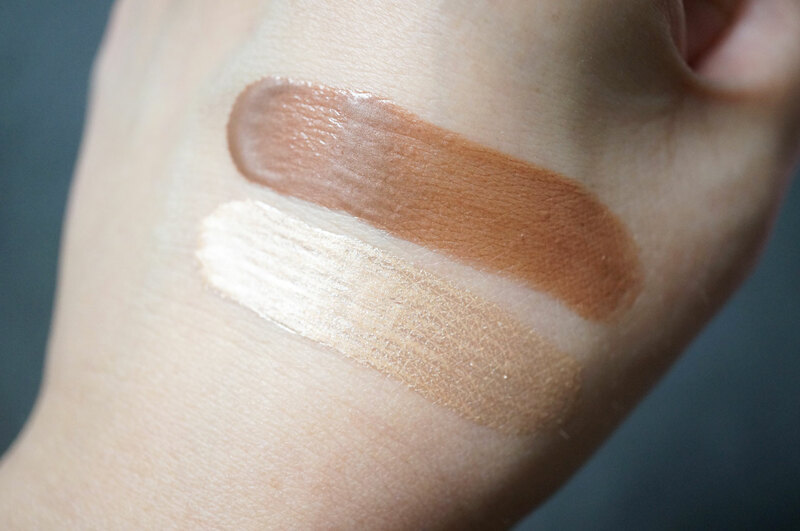 This is only available in one shade though, which is a light rose gold with a touch of silver, that promises to flatter all skin tones. The Hollywood Beauty Light Wand contains treated pearls to brighten and highlight, giving a luminous complexion with a soft-focused finish, and it also contains light reflecting particles for a natural glow. 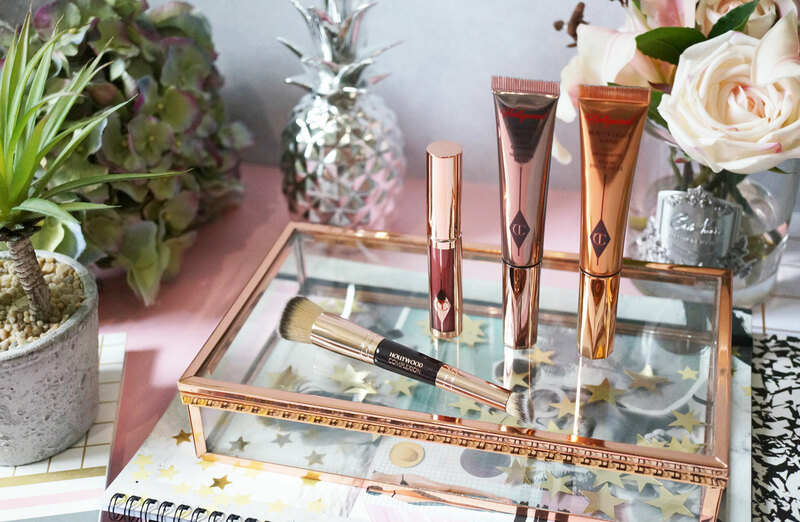 The formula is a thin fluid which leaves a beautiful sheen on the skin – you’ll find no shimmer or glitter here. I’ve been trying out both wands recently and I’ve really been enjoying using them. 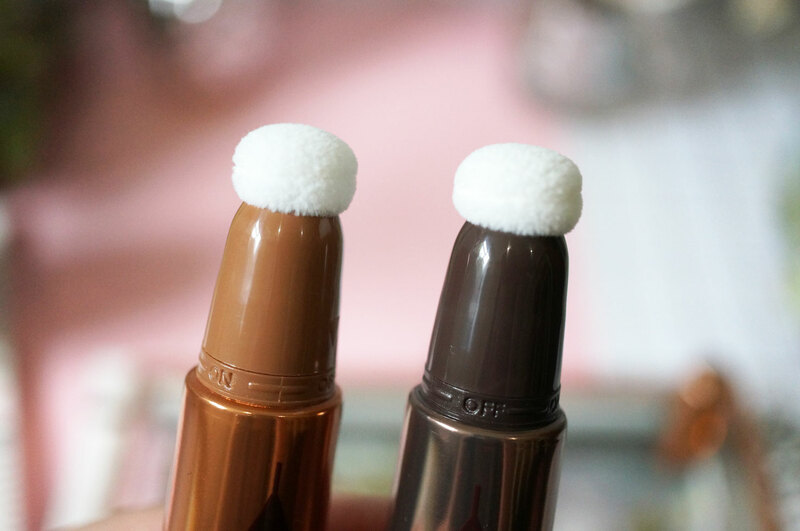 The wand itself makes application quick and easy, and the shades I have a work perfectly well with my pale skin tone. The highlighter is my favourite though, I love how you can apply the product to give a very subtle natural look, or build it up to an intense ‘Glowing for the Gods’ highlight. The above products are advised to be blended with the new Hollywood Complexion Brush (£30.00) – this is a 2-in-1 multi-purpose cruelty free contour brush made with advanced synthetic fibres, for effortlessly blending your makeup. As you can see it’s dual ended, with the large flat-top head brush allowing you to achieve a flawless base quickly & effortlessly – this is perfect for contour blending and softening any harsh lines, and the angled small head brush is made for precise contouring, as well as concealing under the eyes, around the nose or small curvatures of the face. 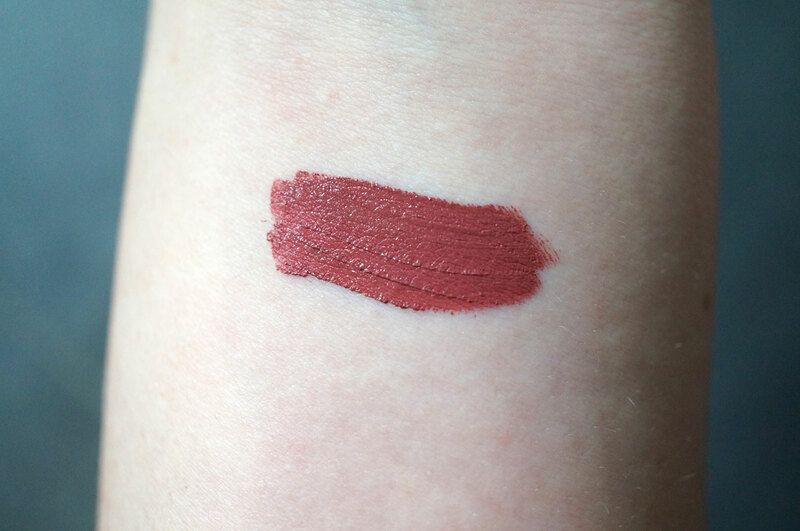 I have Show Girl which is a gorgeous muted pinky red shade that’s perfect for Autumn. 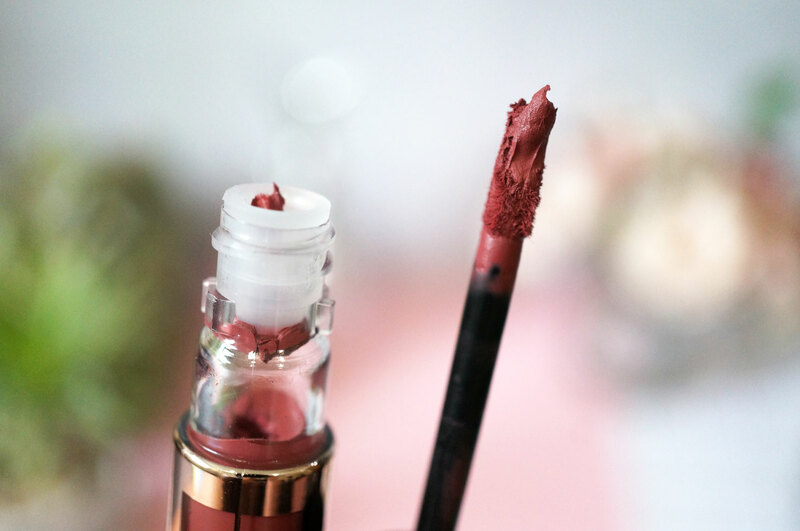 The formula as you can see is really quite thick and moussey, but it actually feels very lightweight on the lips, with a velvety matte finish. You can wear a single swipe for a soft matte look, or it can be built up easily for an intensely pigmented finish. 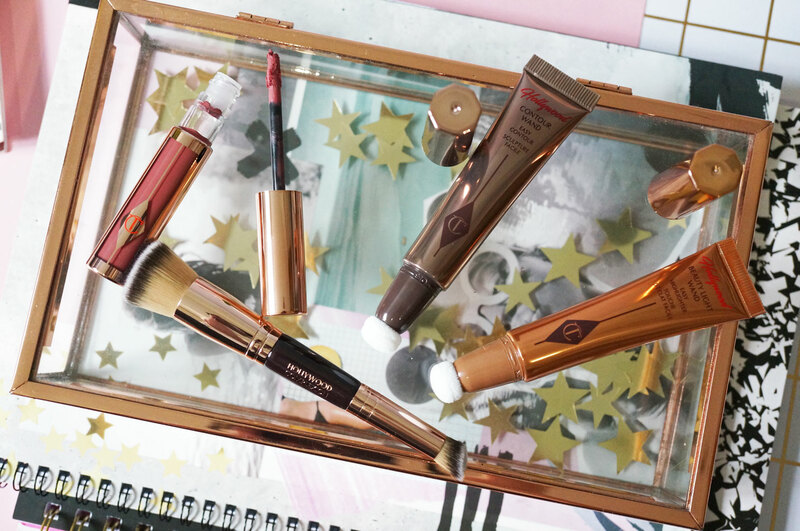 All the above products are available now at Charlotte Tilbury and Selfridges. Next Post Slimfast New Advanced Vitality Range & #SlimFastBreakfastClub Twitter Chat!